It has been two years since "Deadpool" turned the superhero movie genre on its head with its excessively crude fourth-wall-breaking humor. There had been R-rated comic book movies before, but none had achieved its level of success. Not only was it a huge hit financially (it is the second biggest R-rated movie of all time at the domestic box office and technically the biggest worldwide), but it scored major points in its acclaim, earning a Golden Globe nomination for Best Picture - Comedy or Musical, where it lost to "La La Land" in a ceremony where both that movie and "Moonlight" could win Best Picture in harmony. There was no way that kind of success would go unexploited, so here we have the first of what is sure to be many sequels in "Deadpool 2". Ryan Reynolds is back as Wade "Deadpool" Wilson, the mercenary-turned-mutant with regenerative powers. At the start of the film, he and his girlfriend Vanessa (Morena Baccarin) are extremely happy and thinking about having children. Since superheroes are never allowed to be happy for long in these movies, she is quickly eliminated from the story. Wade turns suicidal and blows himself to smithereens, but succeeds only in blowing off his body and having to regrow it in the X-Men mansion under the disapproving eye of Colossus (Stefan Kapicic). By the way, that's another box office record "Deadpool" holds - it's the biggest of all the "X-Men" movies, and it barely counts as one. Wade soon finds a new reason to live in the form of troubled teenage mutant Russell (Julian Dennison). Russell's fiery temper, along with actual fire powers, have set him on a path of vengeance against his school's abusive headmaster (Eddie Marsan), and a public outburst gets both him and Wade thrown in a mutant prison, where collars conveniently exist that deactivate all powers. The prison is attacked by Cable (Josh Brolin), a coldhearted killer intent on assassinating Russell. Wade doesn't know why Cable is targeting a child, but his instinct is to protect the young mutant, which makes him an enemy of Cable as well. The two get into a fight and are flung from the prison, which protects Russell for the time being, but he's scheduled to be transferred the next day. Wade knows that he can't defeat Cable and rescue Russell all by himself, so he gets help from other superheroes. He manages to mismanage the team so badly that only the lucky Domino (Zazie Beetz) remains. The two stave off Cable long enough for Russell to escape with a huge mystery mutant. It is only after the special guest star breaks Wade in half that Cable comes forward to explain himself. He's a time-traveler from a future where Russell has turned into a mass murderer. He needs to kill the kid now for the sake of humanity. Wade sees Cable's dilemma, but he thinks he can stop Russell from becoming a murderer without killing him, which is better for everybody. Cable isn't so sure, but he promises to give Wade a chance to convince Russell to turn his life around. 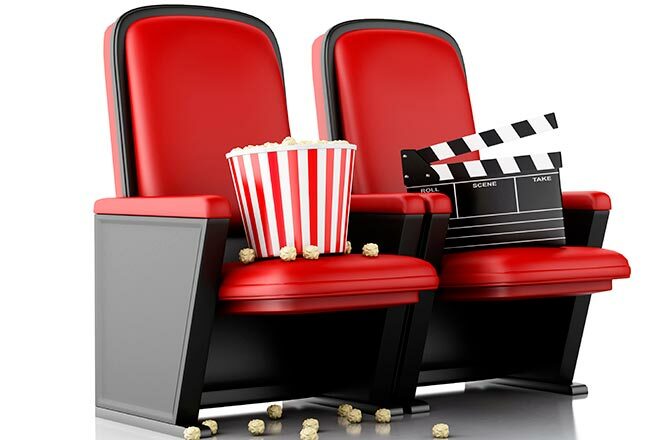 As with is predecessor, "Deadpool 2" is an entertaining mix of an emotional story, interesting characters, creative action, and irreverent humor. Deadpool as a character is still as engaging as ever thanks to Reynolds' charismatic performance. My only real problem with the film is that it drags in a few places and there's an inevitability that certain things are going to be undone. The good news is that while that other Marvel franchise with Josh Brolin is going to make us wait a whole year to set things right, this one fixes everything (plus a few bonus things, one of which I really can't wrap my head around) in a glorious mid-credits sequence. "Deadpool 2" deserves to be just as successful as the first one and it's going to be a real shame when its box office gets pulverized by "Solo" next weekend. 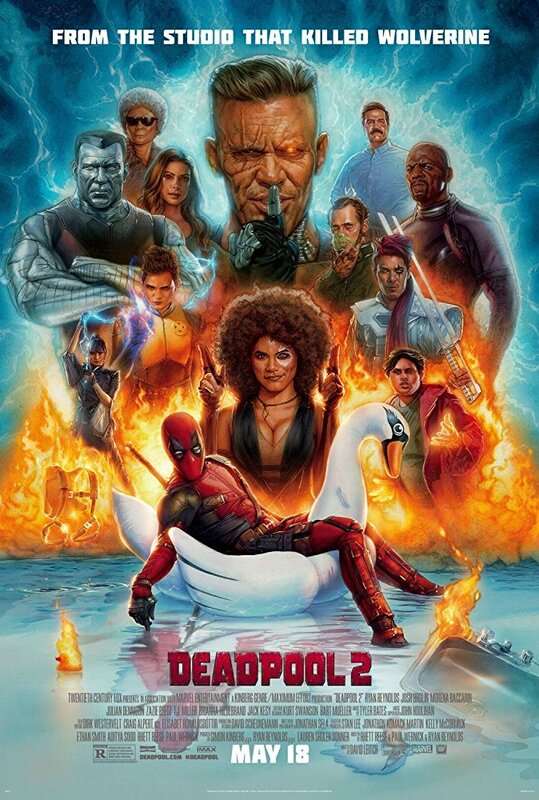 "Deadpool 2" is rated R for strong violence and language throughout, sexual references, and brief drug material. Its running time is 119 minutes.